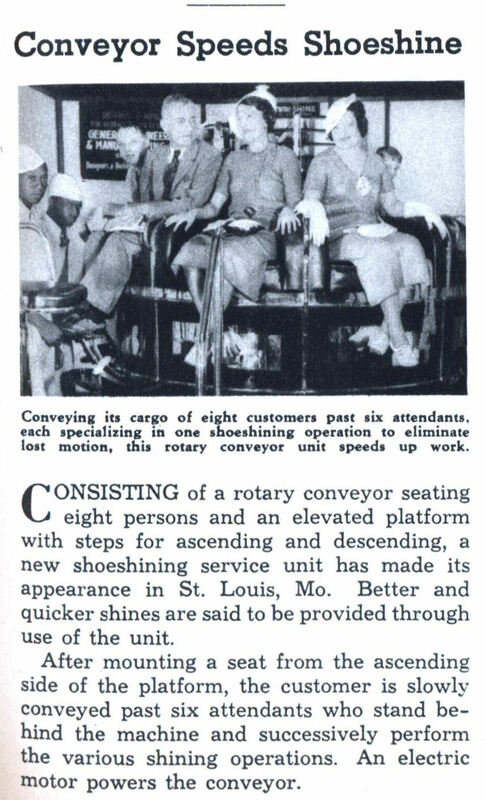 CONSISTING of a rotary conveyor seating eight persons and an elevated platform with steps for ascending and descending, a new shoeshining service unit has made its appearance in St. Louis, Mo. 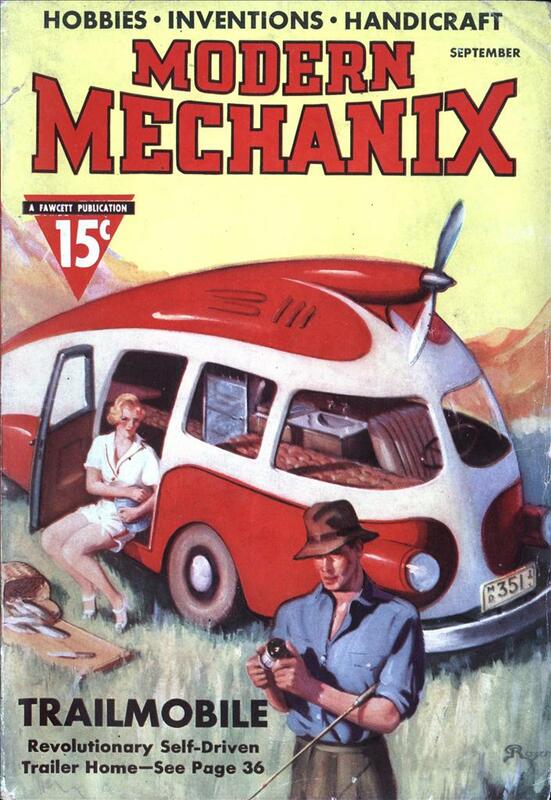 Better and quicker shines are said to be provided through use of the unit. 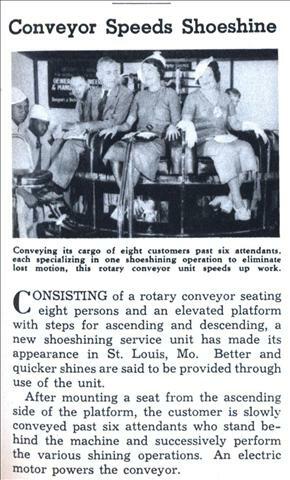 After mounting a seat from the ascending side of the platform, the customer is slowly-conveyed past six attendants who stand behind the machine and successively perform the various shining operations. An electric motor powers the conveyor.